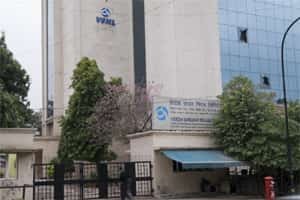 New Delhi: Nine years after the government sold control of the erstwhile Videsh Sanchar Nigam Ltd (VSNL) to the Tatas, an auction of the firm’s surplus land may be in sight, freeing it to embark on capital raising and rewarding the original shareholders. “We’ve moved a note to the relevant ministries for their comments—five of them. We should be receiving a response any day now," said a senior department of telecommunications (DoT) official, on condition of anonymity. “Once we receive the responses, we’ll prepare a note for approval for the cabinet." The 773 acres, spread across plots in prime areas in Delhi, Chennai, Kolkata and Pune, are valued at around ₹ 6,200 crore, with stamp duty and registration costs estimated at around ₹ 430 crore, according to government estimates. This land wasn’t part of the disinvestment deal. The largest chunk of land is in the Dighy area of Pune, while the most valuable is expected to be the land in Delhi—500 acres in the Greater Kailash and Chattarpur areas. The proposal, approved by the Telecom Commission in August, calls for the land to be brought under a special purpose vehicle, or SPV, in which DoT will have majority stake. The deal was done in two stages with 25% acquired directly from the government and another 20% from minority shareholders through an open offer. The stake was subsequently raised to 50%. On 30 September, the public shareholding was 17%, the government held 26% and 6.6% was with American depository receipt holders. The company was subsequently renamed Tata Communications Ltd. The Tatas had earlier created a company, Hemisphere Properties India Ltd (HPIL), with an authorized capital of ₹ 25 lakh to hold the surplus land. It’s not clear whether HPIL will be turned into the SPV that the plan recommends. DoT will likely take a 51% ownership in this company, with the pre-divestment shareholders of VSNL getting the remaining 49%. Tatas will get about 5% of the proceeds of the sale corresponding to the 5% additional stake acquired in the past few years. The government had proposed spinning off the asset into a separate firm with the same shareholding that VSNL had before the sell-off, but the Tatas objected to this as they would have had to bear the cost—capital gains tax and stamp duty. The auction will take place only after the various procedures are completed. “It’s only the hiving off that is being done for now. Once that is done then the government will probably hire consultants to look into land laws and suggest the best method to sell the land," a second DoT official said. Money from the land sale will benefit the government and those who hold pre-divestment shares. “The biggest impact will be for the public shareholders, who’ve been waiting for so long to benefit from the value of the surplus land," said Srinivasa Addepalli, senior vice-president, corporate strategy and marketing, Tata Communications. “From the company perspective, this issue has been a distraction to normal business operations and has placed constraints on our capital-raising options." The company has said in the past that it had no intention of holding on to the surplus land and a delay in taking a decision on this issue was hurting the company as it had been unable to raise funds.